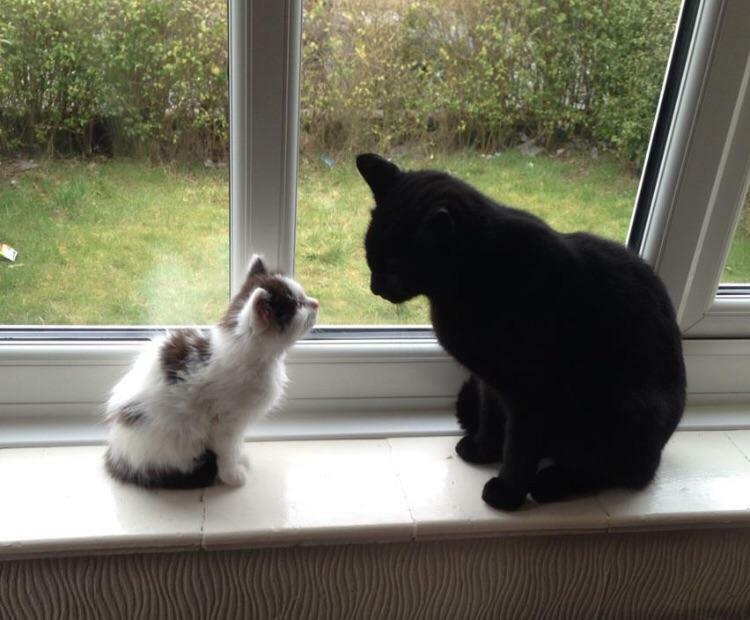 Found this picture of my 8 week old kitten meeting the boss for the first time ! She’s now the boss and turned 7 today ! My old roommate sent me this picture of her cat!